Jo-Anne McArthur is one of my idols. She has made it her life’s mission to speak out for those who have no voice, the animals. 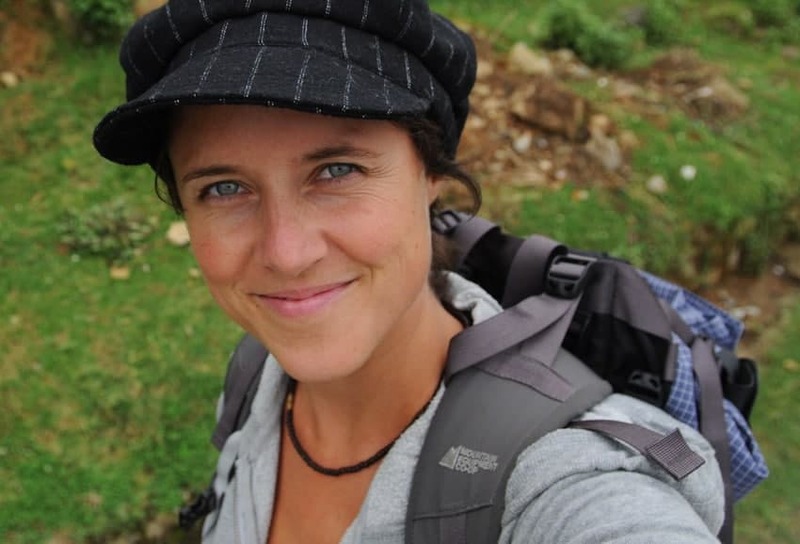 Jo-Anne is an award-winning photojournalist, author, and activist from Canada who has traveled for the last decade across all seven continents to document the plight of animals. She is the founder of the We Animals project, which displays photographs depicting how animals live in our human environment. Photographs and stories from We Animals have been shot in over 40 countries and have contributed to over 100 campaigns to end the suffering and abuse of animals. Jo-Anne is also the subject and star of the thought-provoking documentary, The Ghosts In Our Machine. The film illustrates the lives of individual animals living within and rescued from the machine of our modern world through Jo-Anne’s heart and photographic lens. If you haven’t seen this movie yet, do yourself a favour and watch it, it’s amazing. As someone that I look up to, I was thrilled when Jo-Anne agreed to conduct an interview with me about the place of animals in tourism. 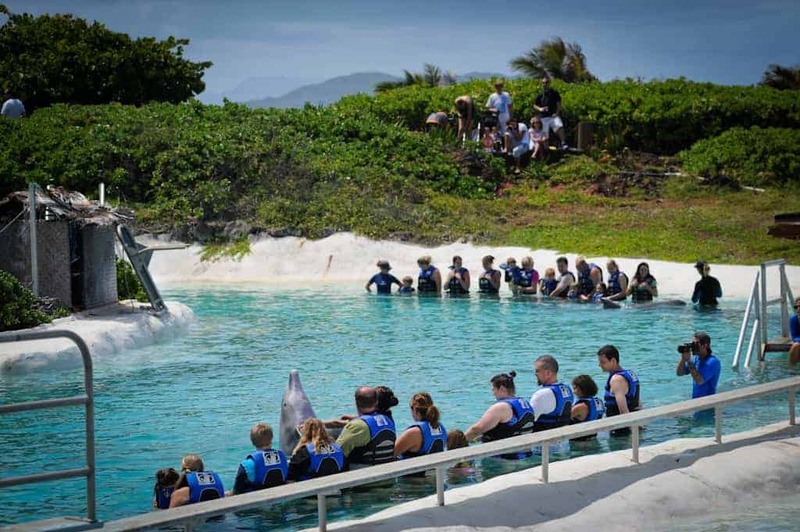 Many tourists who participate in excursions involving animals actually love animals. How could they be doing more harm than good? What are some red flags signifying that animals might be mistreated at a tourist destination? What are your views regarding zoos, aquariums, and dolphinariums? What kinds of activities involving animals would you recommend that people do while traveling? How can we challenge or bring change in nations where their traditions or festivities involve harming animals? Even while we’re not traveling, what are the best ways that we can help animals in our daily lives? What are some tips you have for traveling as a vegan when visiting places that aren’t vegan-friendly? We’re just not taught to see much beyond our own noses. For many of us, loving animals means we’ll take the opportunity to look at them when we can, but without regard for the animal itself. Which is interesting, isn’t it, because we often look without really seeing, or without really thinking through what’s going on. Elephant rides are offered regularly in Southeast Asia, and that’s an unusual and exciting experience for people, but how does the elephant live? 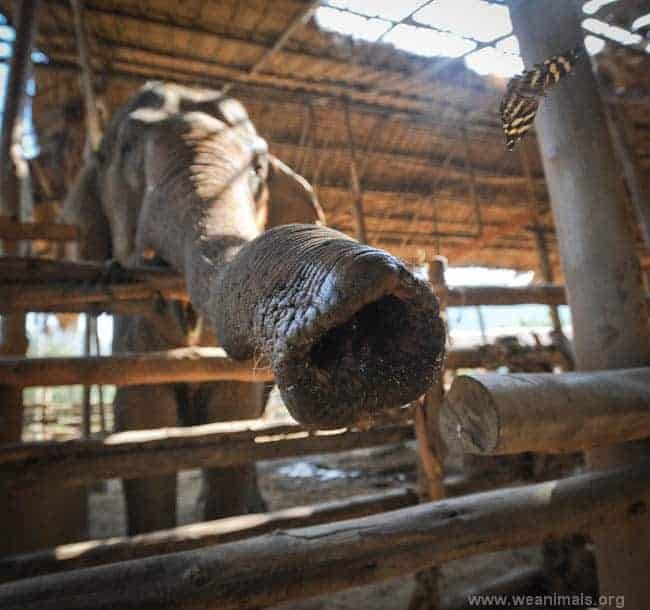 How was the elephant trained, and was she taken away from her family? There are so many questions we need to ask, but we might avoid those questions because we know the answers might be painful, and we also simply want the gratification of riding an elephant, or swimming with a dolphin. There is, of course, a great way to express our love for animals. We can help them and create better lives for them, if we’ve done our research and see that the lives of the animals in question aren’t great. We can visit sanctuaries instead, for example. Using elephant as an example again, there’s a great sanctuary in Thailand called Elephant Nature Park, and the difference between this place and others is that the needs of the elephants are put first. Before profit, before human curiosity. When you’re putting money into an industry that uses animals for entertainment, it perpetuates the problem. With a little digging, there are always more animal-friendly places to visit. If the animals are made to perform or give rides, they are likely doing something they had to be “broken” in order to do. Animals are also taken from the wild, or bred in captivity but taken away from their families and sold to other facilities. Some die in transport. 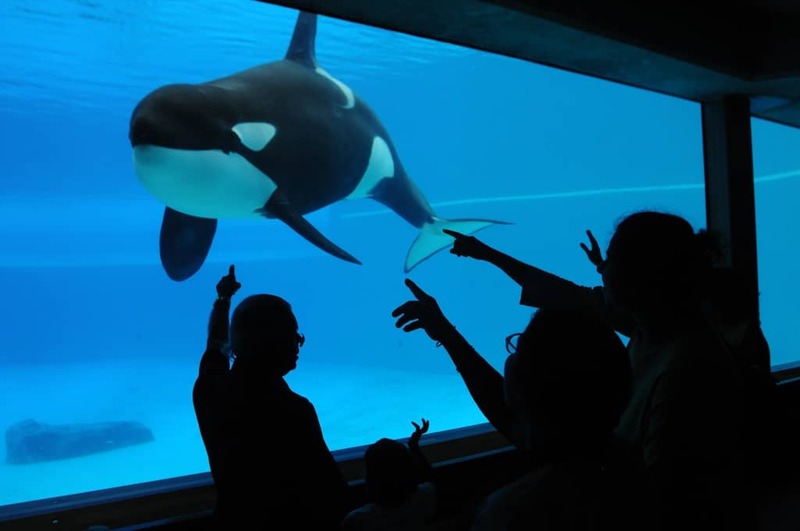 Some are in the areas where tourists can see them, but there are often other animals behind the scenes who are in small pens, cages or swimming tanks, too old, sick or blind to be used. You can always ask what your money is going towards, or do your research ahead of time. 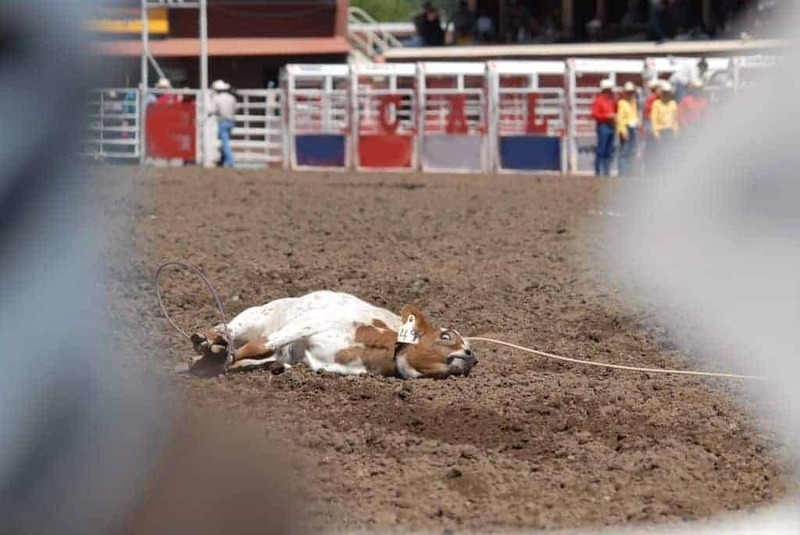 Some abuse of animals is considered cultural, or an art form, like rodeos and bullfights, where the animals are raced, roped, injured, beaten and, with bullfights, killed. We often think “when in Rome”, and blindly take part simply because we’re in that country. Take those blinders off, and always ask yourself how animals are going to be treated at the places and events you’re visiting. As a photojournalist, sometimes my photo speak louder than words, and so I invite you to view this gallery, shot at aquariums and dolphinariums in different parts of the world. 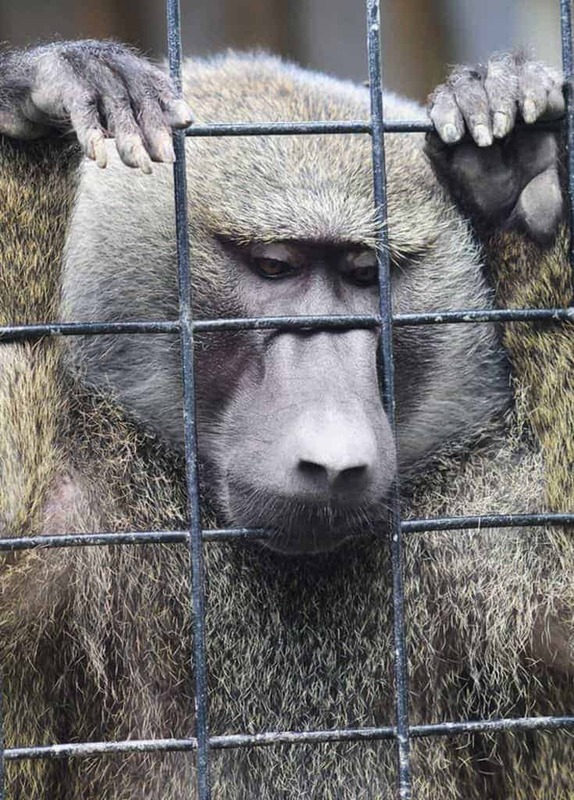 The difference between zoos and sanctuaries is that zoos are for profit, and for the curiosity of humans. The debate is that zoos are educational. 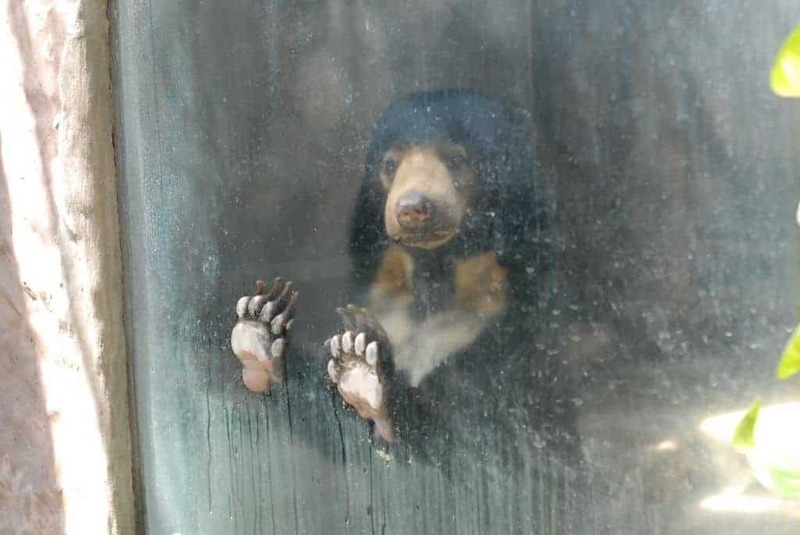 I think that, for the most part, zoos teach us about bored animals on display, far away from how their lives should be. They teach us that animals are for our use; that they are for us, reinforcing a speciesist framework which gives us the right to do with them what we want. I’ll love zoos again when they’re working only for the protection of animals and giving the best care, options and opportunities for each individual living in the zoo, but even at the “best” zoos in the world, that’s not the case. There will always be a need for places where animals can live safely in our care, so, in captivity (due to injury, inability to be released into the wild, danger due to poaching, or breeding programs with the goal of reintroduction into the wild, etc). Sanctuaries are playing that role, and they need our support. If they are open to the public – many have visitor and volunteer days – they’re a great way to see animals and a great way to support those who help animals. Eschew the zoo and aquarium, and visit a sanctuary. Skip the extremely expensive “swim with dolphins” industry and take a kayak or boat tour out into nearby waters to see animals where they are meant to be, in the wild. We have to speak up to anyone visiting that country. We can have discussions about the treatment of animals. We have to be vocal, and get people thinking. We can also boycott the bullring, the rodeo, the zoos and the aquariums, and actively support the alternatives. 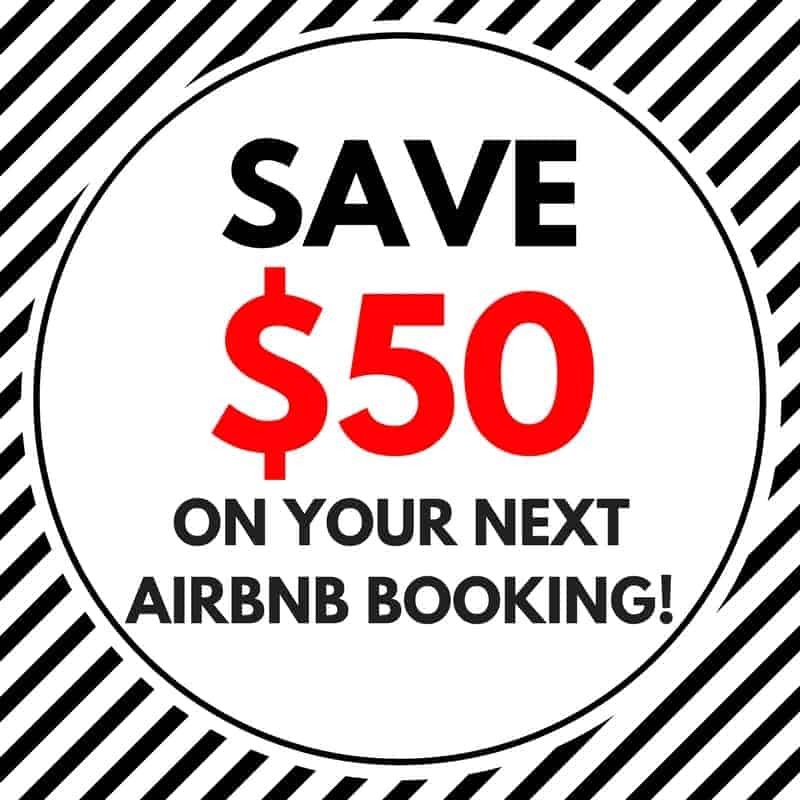 You can also let tours, tour guides and travel agencies know that you won’t book through them if they support those industries, or bring visitors there as part of the tour. People will change their minds if they start losing dollars. Lead by example, live compassionately. Reduce and eliminate your consumption of animals. With all the amazing and healthy alternatives to meat, there’s really no excuse! Volunteer at your local animal shelter or sanctuary. Spay and neuter your companion animals! This will help reduce the number of unwanted and homeless animals around the globe. Don’t attend circuses, rodeos and fairs that use animals for entertainment. Speak up against such blatant and unnecessary forms of cruelty. Animals are not ours for entertainment. Look for the cruelty free label. Buy products that have not been tested on animals. Don’t wear animal products. It’s unnecessary, and sends a message that you support animal exploitation for clothing. While travelling, don’t buy endangered animal products such as ivory or other body parts. Don’t eat the meat of endangered animals, such as gorillas and chimpanzees in Africa. Further to that, let the vendors know that you don’t approve! Don’t buy the body parts of animals as souvenirs. Animals are being driven to extinction by this carelessness! Speak up. If you see a situation of cruelty or abuse, talk to the perpetrator, or call the authorities. We so often assume someone else will deal with the problem. If we don’t speak up, who will? I used to worry about what I was going to eat while travelling. Some of us like me who are spoiled city vegans are used to lots of options. Take a deep breath. It’s not a huge deal if there are fewer options for a little while. Don’t let fewer options ruin your good time and excitement for a new culture and new experience. It’s also an opportunity to let restaurants know that people want vegan options; you can always say as much if you’re at a place with few options, thus being part of the momentum towards more vegan options for future visitors. You can bring supplements with you on your travels. I always bring Vega with me, so that I can get a boost of nutrition, if the day’s meals aren’t going to be balanced. When I’m travelling to remote places, I bring my powdered soymilk as well, for my morning tea or cereal. I lived in the bush in Africa for 6 weeks, while volunteering at Ape Action Africa. 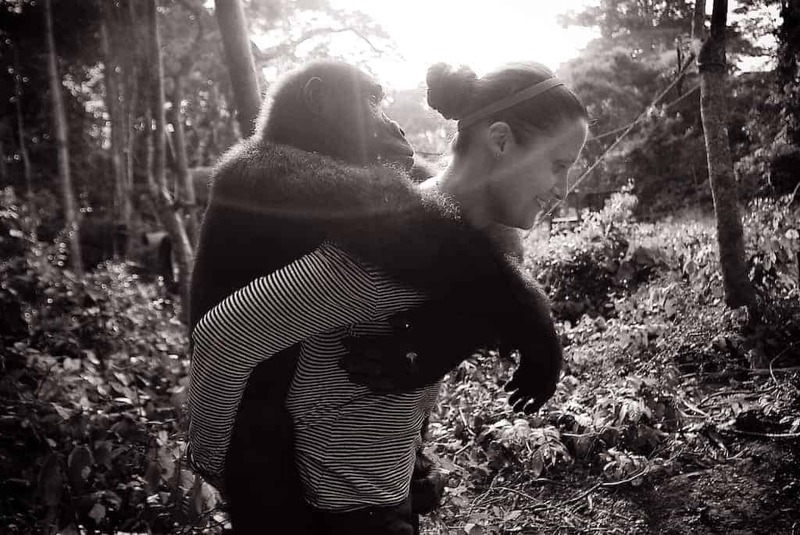 This is one of the greatest places on earth to volunteer with primates; I highly recommend it. But you’re going to eat a lot of rice and beans. In situations like this, I just suggest loosening the grip and enjoying the ride. Besides, this is how billions of people eat every day. If they can do it, you can too for a little while. It’s humbling, too, and gives you an appreciation for just how much we city folk have available to us. I also enjoy bringing peanut butter with me. It’s the small pleasures, you know? My worst vegan eating experience was while travelling in Chile. My favourite story: I let the server know that I was vegan and he smiled broadly and said he knew exactly what to bring me! Well this was exciting; someone in small town Latin America who knew about veganism! My friends laughed, and so did I, when he brought our meals to the table. Mine was mashed potatoes, with boiled, cubed potatoes next to them. Between the two were approximately three overcooked string beans. Maybe the effort was genuine, or maybe it was a “screw you, vegan!”, but the point is that it was one meal, and I wasn’t going to starve, and I didn’t let it ruin my trip. Thank you so much, Jo-Anne for your interview! I truly hope that this inspires people to stop participating in activities or attending attractions that exploit animals. 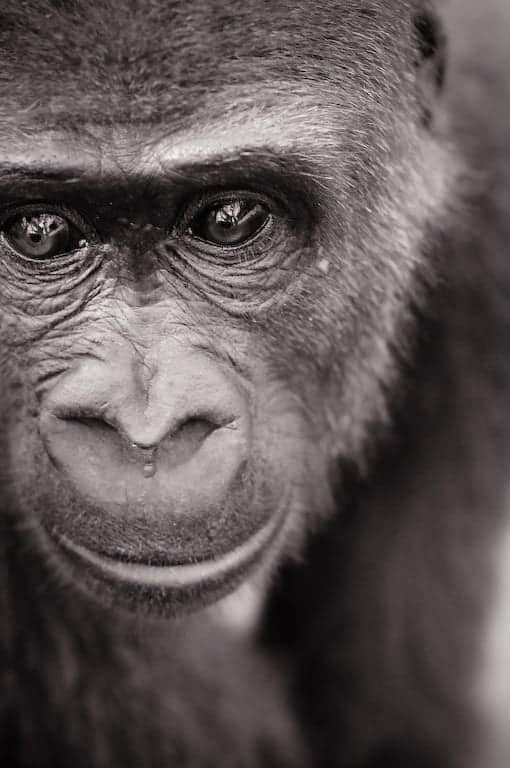 Please check out Jo-Anne’s project, We Animals, to see more of her incredible photographs. You can also connect with Jo-Anne on social media: Facebook, Twitter, and Instagram. This is such a great interview, Lauren. I’m so glad to have discovered Jo-Ann McArthur. These pictures are heartbreaking and raising awareness about the faith of the animals in some of these places is key to saving them and putting an end to these practices. An incredibly powerful and beautiful post. Thank you so much for sharing this interview! Great interview! I always love visiting sanctuaries and places that help conserve animals. Will definitely be checking out We Animals for more information on places to visit! 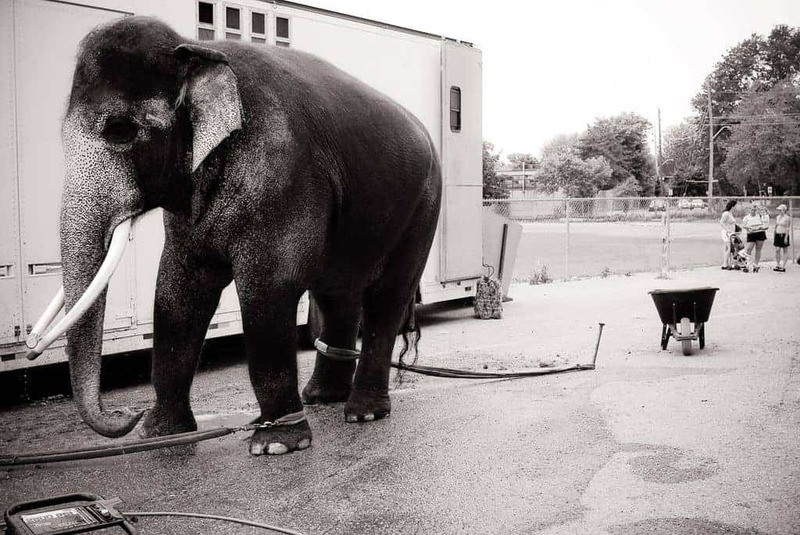 Some of these pictures made me so sad, but they reiterate why I don’t support animals in captivity, other than when it’s a sanctuary or rehabilitation center. Thanks for sharing this interview. I hope more people will choose wisely when ‘seeing animals’ when they travel. After visiting Sea World for years when I was a kid (and didn’t know any better), one of my top bucket list items is seeing an orca in the wild! I actually used to have swimming with dolphins on my list, but have since taken it off a while back when I realized just how cruel the concept is. Hopefully through interviews like this we can spread the word about animals and their right to freedom! Thanks again for sharing! This was such a great read! 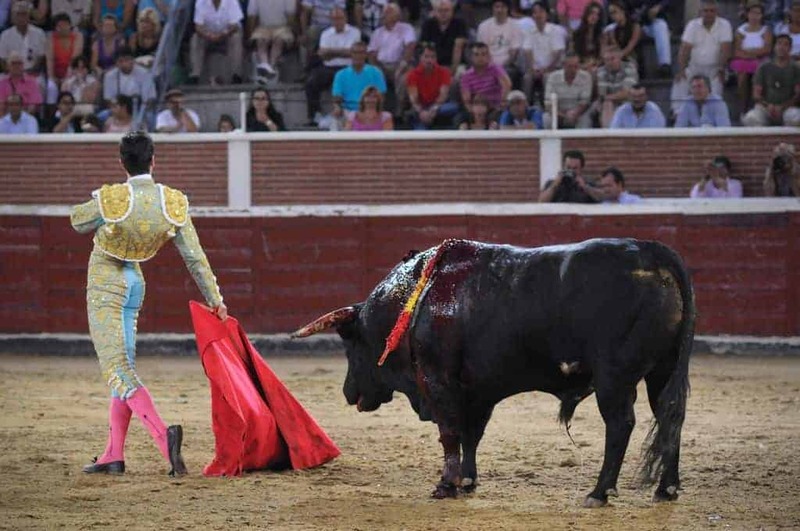 These photos are so powerful – the bullfight one especially got to me because I went to one while I was in Spain because my friend just HAD to while in Madrid. I lasted only a couple fights and left sobbing. To be honest I have never thought much about rodeos being cruel, which seems painfully obvious… Case in point that these types of interviews and articles are needed! We always seek out nature and wildlife experiences when we travel but are careful to ensure we have minimal environmental impact and zoo’s or refuges are aligned to best practices for animal welfare. We did have one terrible experience in Samoa where a driver decided to include a “bonus” stop at a turtle sanctuary. The were clearly farming, it was so upsetting. A great interview with important message and moving photos too! I hope more and more among us choose to travel more responsibly and at least vote with our money if not with our voice. What an important message! Since watching Blackfish my persepctive has changed on the animal tourism. Since, I have not visited an aquarium, zoo, or other similar in attraction either Toronto or abroad. I really loved reading this interview because Jo-Anne again challenged my thoughts and the way I do/see things! Great article! I’m glad she was able to take the vegan potato incident in stride! Fascinating interview, and such beautiful photos whcih really evoke emotion. We love traveling for wildlife, though aim to seek out only the most authentic and ethical wildlife experiences we can. I really loved how she said “we look without really seeing, or without really thinking through what’s going on”, because that’s so true of today’s wildlife tourism. So many disturbing practices happen for the sake of entertainment, it’s unnecessary. Some of those pictures really made me sad. I commend you all on your openness about things like the troubles of being vegan abroad and animal cruelty. Congratulations on interviewing one of your idols! Absolutely wonderful article! It’s very eyeopening and such an important topic. People tend to get very caught up in the moment because they love animals so much that they tend to not see the repercussions of what the animals go through. Jo-Anne made a great point by adding that if you want to see animals in a different place going to sanctuaries and volunteering or even taking a boat out are great ways to see animals in safe ways! Thank you for sharing and spreading your message! 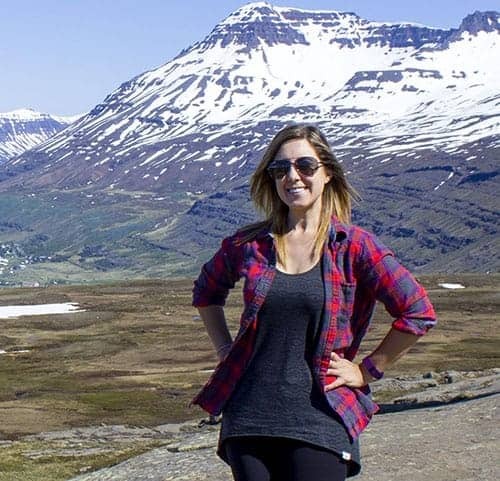 Very cool, the places you visit on this trip, really seem to be fantastic. I wish I could go on a trip like that one day. I really enjoyed your story too. Hello, how are you? I really liked the article, excellent material congratulations we have to take good care of the animals. Sometimes we see joy in things but some of these photos I see and suffering.